I think today it was for the last time when my cat Tomita waited for me at the door when I arrived home after work. He used to meow and walk in front of my bike while I was going into my room, just to stop and stay with him and stroke his beautiful fur. This time he was so tired and powerless because his old age and very bad health so he was just sitting there on the hallway tiles. 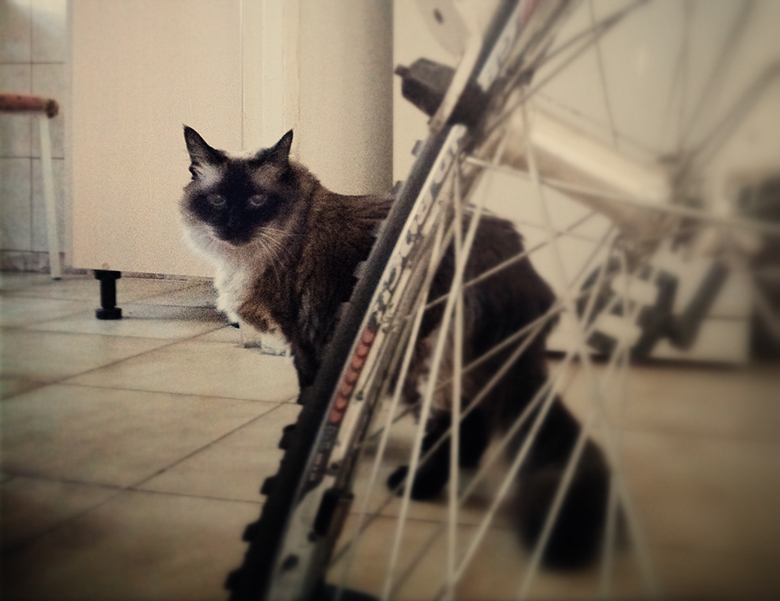 So I made a photo of him and my bike, not knowing it will be one of the last pictures with my dear Tomita.